Ambergris Caye, Belize, May 3, 2017	(Newswire.com) - It’s undeniable that Ambergris Caye has one of the most pleasing cultures in the world. Aside from the stunning aesthetics of Belize’s largest island, it boasts its undying rich culture that attracts foreign tourists to the locality, and one strong testament was its recently held Easter Week Celebration. The celebration — which features a balance of the party atmosphere of the weekend, and at the same time the sense of faith and spiritual fulfillment incorporated in the Easter week celebration — gives the locals and tourists a very satisfying involvement in the annual event. Spearheaded by the San Pedro Roman Catholic Church, Holy Week 2017 began on Palm Sunday, April 9th. The annual tradition began with the Palm Sunday Mass, where palm leaves were blessed, given to the congregation, and turned into crosses as a symbol of their faith, signifying the welcoming of Jesus to the Holy City. After Holy Wednesday, the end of the Lenten season neared as the “Washing of the Feet” was initiated after Holy Thursday’s Mass. Then, a vigil was held at the Parish Hall until midnight to bring in Good Friday, which signified Judas' betrayal of Jesus in the Garden of Gethsemane. Good Friday is viewed as the most religious day by Roman Catholics, as Jesus Christ endured suffering to cleanse mankind of its sins. At midday, the “Celebration of the Seven Words” commenced, and then followed with service and the Adoration of the Cross. And when the clock ticked at 5 p.m., the Holy Procession took place. As for the final days of the Holy Week, a perfect weekend filled with fun and parties also commenced in town. After the 24-hour observation of “Dry Friday,” a radiant celebration of the Easter Glow Madness was anticipated, starting the unparalleled Easter weekend filled with sporting activities, picnics, barbecues, and even a foam party — which started the spread of fun and entertainment in line with the celebration of the Easter weekend. Beachfront spots hosted all-day parties on Saturday and Sunday, where the Easter Splash Bash 2017 was held at the Central Park. The event featured popular Belizean artists and musicians such as Tanya Carter and Ernestine Carballo, and different competitions also took place throughout the day. The Easter Loca Fest also took charge, where a huge crowd enjoyed music and drinks in the nighttime event. On the other hand, the Holiday hotel also hosted their annual Easter Extravaganza, which featured a beach party with sandy beach fun, drinks, and international DJ artists. The foam party was also highly anticipated by a huge crowd, where participants danced and played in foam as soca, reggaeton, hip-hop and house music kept the party going. The event also hosted engaging activities ranging from game competitions, pop quizzes and dance contests to beer drinking competitions. 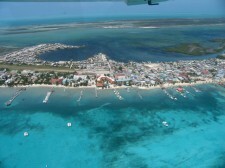 With the 2017 Easter Week celebration of the Ambergris Caye an overall success, the island is indeed a major destination for tourists who are looking for a place as festive and organized. 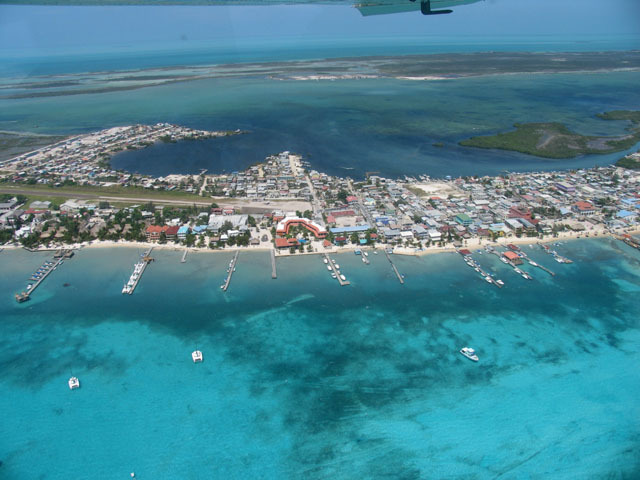 Not failing to deliver the holiness of the annual celebration, as well as providing an entertaining weekend as the icing on the cake, the community of the Ambergris Caye is undoubtedly an ideal place for a holiday.